At BRT, we specialize in providing top quality, effective, affordable solutions for insulating your home, business, or agricultural buildings. The most cost-efficient path to raise the energy efficiency level of any household or building is to improve its insulation. A better-insulated house will cost less to heat in the winter and less to cool in the summer, thereby saving you money all year-round. 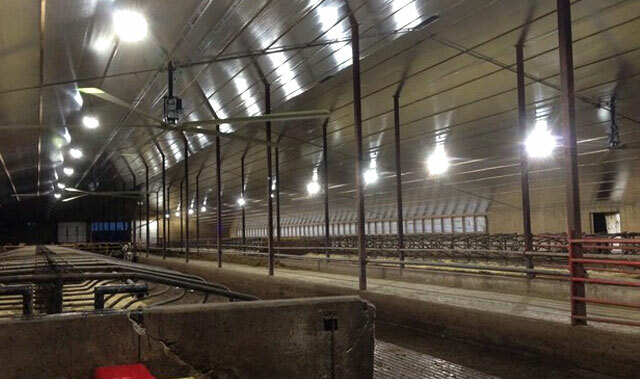 One of the top ways we have found to cost-effectively improve the insulation value of any building is through the installation of a radiant barrier technology. We are right now the main distributor and installer of Sigma Radiant Barrier in Canada. We have installed hundreds of thousands of square feet in a variety of buildings over the past few years. The results when installed the correct way have been astonishing. Below is some more information about radiant barrier technology. Visit our photo gallery to see our past installations. “Traditional” insulation yields traditional results. Furnaces and air conditioners run constantly, energy bills are high, and discomfort in a household is taken as the status quo. Insulation systems can be designed to make a structure more comfortable and efficient – virtually eliminating cold corners, hot second-stories, and discomfort near exterior walls. It’s all due to the aluminum foil! Foil requires an air-space and stops 95% of radiant heat loss when there’s an air-space between the heat source and the foil. Air-seal this assembly and total heat loss approaches zero! The result is vacuum insulation, similar to a Thermos bottle’s insulation system. Heat is transferred in a building in three ways: radiation, convection, and conduction. CONDUCTION is direct heat flow through matter via molecular motion. It results from actual physical contact of one body with another. For example, a cooking pot on a warm stove receives its heat via conduction. In a wall, heat conducts through objects in direct contact with each other. 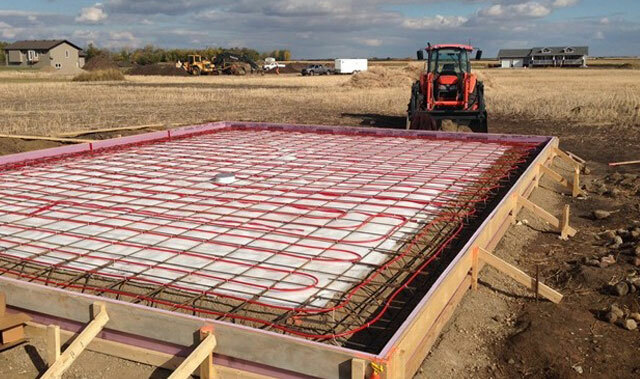 Heat conducts through studs, drywall, and yes, insulation installed without an air-space. Heat is always conducted from warm to cold, and it always moves via the shortest and easiest path. In general, the denser a substance, the better conductor it is. Solid rock, glass, and aluminum are very dense and therefore are good conductors of heat. Reduce their density by mixing air into the mass, and their conductivity is reduced. This is how traditional insulation works. Because air has low density, the percentage of heat transferred by conduction through air is comparatively small. Two thin sheets of aluminum foil with an inch of air space between weigh less than one ounce per square foot. The ratio is approximately 1 of mass to 100 of air – this is most important in reducing heat flow by conduction. The less dense the mass, the less heat will be conducted! CONVECTION is the transport of heat within a gas or liquid, caused by the actual flow of the material itself (mass motion). In building spaces, natural convection heat flow is largely upward, somewhat sideways, but not downward. This is called "free convection." For instance, a warm stove, person, floor, wall, etc., loses heat by conduction to the colder air in contact with it. This added heat activates (warms) the molecules of the air which expand, becoming less dense, and rise. Cooler, heavier air rushes in from the side and below to replace it. The popular expression "hot air rises" is exemplified by smoke rising from a chimney or a fire. The motion is turbulently upward, with a component of sideways motion. Convection may also be mechanically induced, as by a fan. This is called "forced convection." RADIATION is the transmission of electromagnetic rays through space. Radiation, like radio waves, is invisible. All materials emit infrared radiation (IR) if they have a temperature above absolute zero (-459.7 F). This includes the obvious sources like the sun or a radiator, but also icebergs, humans, animals, furniture, ceilings, walls, floors, etc. Read more about IR in the links below. Being that all objects radiate infrared rays from their surface in all directions, in a straight line, until they are reflected or absorbed by another object. Traveling at the speed of light, these rays are invisible, and they have NO TEMPERATURE, only ENERGY. When an object is heated, its surface molecules are excited, causing them to give off infrared radiation. When these infrared rays strike the surface of another object, the rays are absorbed and only then is heat produced in the object. This heat spreads throughout the mass by conduction. The heated object then transmits infrared rays from exposed surfaces by radiation to other objects. The amount of radiation emitted is a function of the EMISSIVITY factor of the source's surface. Emissivity is the rate at which radiation is given off (EMISSION). Therefore, when infrared radiation strikes an object, some of the energy is reflected (bounces back) and some is absorbed. Some of the absorbed energy is then emitted away as more radiation. Here’s an example: Take four iron radiators and heat them to the same temperature. Wrap one with aluminum foil (extremely low emissivity), paint one with aluminum (low emissivity), one with ordinary enamel (more emissive), and the fourth covered with asbestos (highly emissive). The radiator wrapped in aluminum foil will emit, or give off, a mere 3% of its radiation. The enamel and asbestos will give off a considerable amount of radiation (even more than the original iron). Materials whose surfaces do not appreciably reflect infrared rays, i.e. sheetrock, wood, glass, and rock, have absorption and emissivity rates ranging from 80% to 93% - meaning that they easily give away their radiant energy. Most materials used in building construction - brick, stone, wood, paper, and so on - regardless of their color, absorb infrared radiation at about 90%. It is interesting to note that a mirror of glass is an excellent reflector of light, but a very poor reflector of infrared radiation. Mirrors have about the same reflectivity for infrared as a heavy coating of black paint. The surface of aluminum has the ability NOT TO ABSORB, but TO REFLECT 97% of the infrared rays which strike it. Since aluminum foil has such a low mass to air ratio, very little conduction can take place, particularly when only 3% of the rays are absorbed. TRY THIS EXPERIMENT: Hold a sample of FOIL INSULATION close to your face, without touching it. Soon you will feel the warmth of your own infrared rays bounding back from the SURFACE. The explanation: the emissivity of heat radiation of the surface of your face is 99% - the absorption of aluminum is only 3%. It sends back 97% of the rays. The absorption rate of your face is 99%. The net result is that you feel the warmth of your face reflected. When a high reflectivity, low emissive material like Sigma's 3100 Series is facing into an open and vented space like an attic, it is called a radiant barrier. A radiant barrier works by reflecting 95% of the infrared or radiant heat that strikes it, and by not emitting over 5% of infrared or radiant heat through it. By preventing radiant heat from entering or escaping, a radiant barrier reduces the energy spent on heating and cooling and can make the home significantly more comfortable year around. At a fraction of the thickness and weight, the 3100 Series is over twice as tear-resistant as the competition when tested to ASTM D4533. This means it will continue to hold nails and staples under pressure. Up to 50% lighter and thinner than competing radiant barrier products, 3100 Series rolls make storage, transportation, and installation easier. What’s more, 3100 Series products do not have to sacrifice any strength or durability to do so. Sigma’s 3100 Series radiant barrier installs easily, with both lightweight and excellent tear-resistance that make remodeling work a breeze. Never before has a radiant barrier or reflective insulation been so strong while still so thin and lightweight. 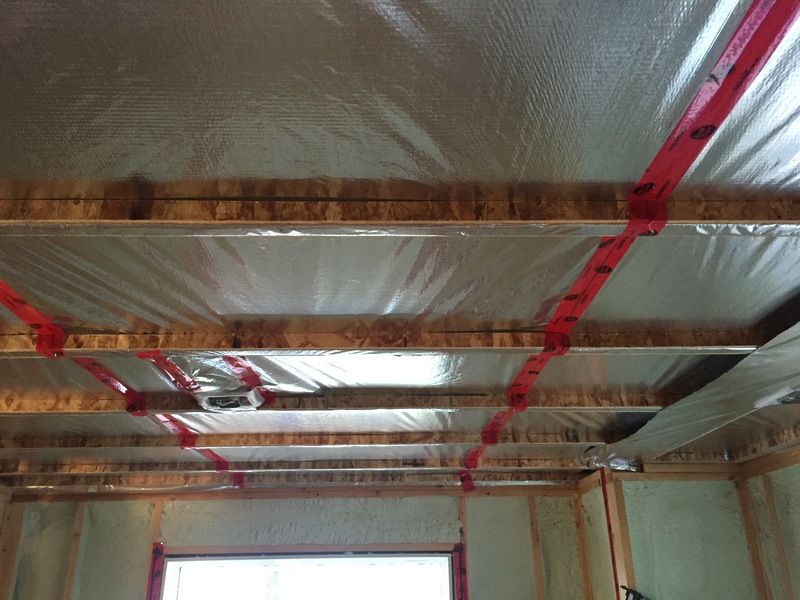 The weight makes it possible to bring up entire rolls at once, and the durability ensures worry-free installation with staples or nails, making 3100 Series radiant barrier a key component of any contractor or energy auditor’s portfolio. We work hard to be competitively priced and to get the work done in a timely manner, no matter the building project. At the same time, we pride ourselves on holding to a high standard of quality workmanship in every part of the building process. At the end of the day, your satisfaction is our top priority!